When Rachel first got in touch about her wedding, I was really excited. I adore the sea and shooting on a beach has to be one of the most rewarding places to shoot. I could tell instantly we’d be a good fit – she was very relaxed and loved my style. The Roslin Beach Hotel in Southend is stunning. It was the first time I’d photographed a wedding there and I really hope I get the chance to go back. The hotel is modern, fresh and blends into it’s beach side location easily. I found myself walking around planning a weekend there myself! The staff were fantastic and really helpful. I started the shoot of Rachel and Ben’s wedding in the morning where Rachel was getting ready in the gorgeous mulberry suit. I loved Rachel’s style, her dress was beautiful and fitted in perfectly with the beach location. The couple’s wedding was held downstairs and afterwards the guests poured outside into the beautiful sunshine to enjoy a refreshing drink. It was the weekend of the Southend Airshow and the skies were conveniently full of entertainment! After the drinks reception, the guests sat down to eat. I shot the speeches, which were fantastic and then invited Rachel and Ben to go for a short photoshoot on Southend Beach just across the road. 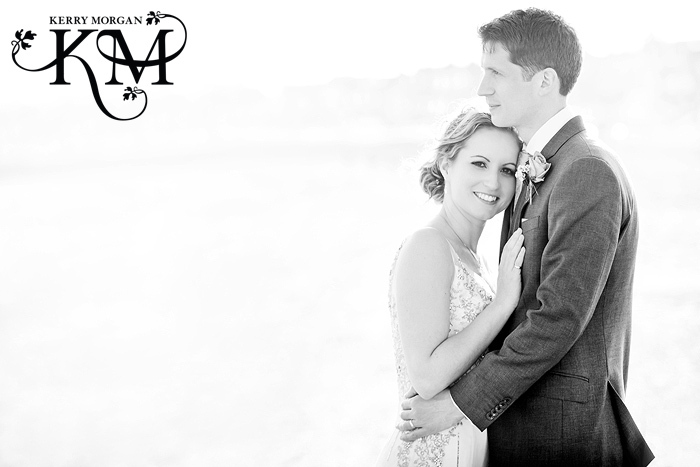 The light was great and they were brilliant to work with. Ben’s mum even helped by holding up a reflector, so I could bounce some of that beautiful light back at the couple. I love the results. One of the things I truly love about my job is creating stunning portraits of people who previously had no idea they looked so amazing! Many congratulations to Rachel and Ben – you make such a sweet couple! Thanks for choosing me to shoot your day, I had a ball! I loved Rachel’s bouquet – pretty, fresh and perfect for the beach! If you’d like to see more “like” our Facebook page! Love this set, the couple shots are amazing!!! Loving your work Kerry!